Etsy is one of the leading marketplaces for handmade treasures and a potentially lucrative platform for you to make money. Learning how to sell on Etsy is not hard. 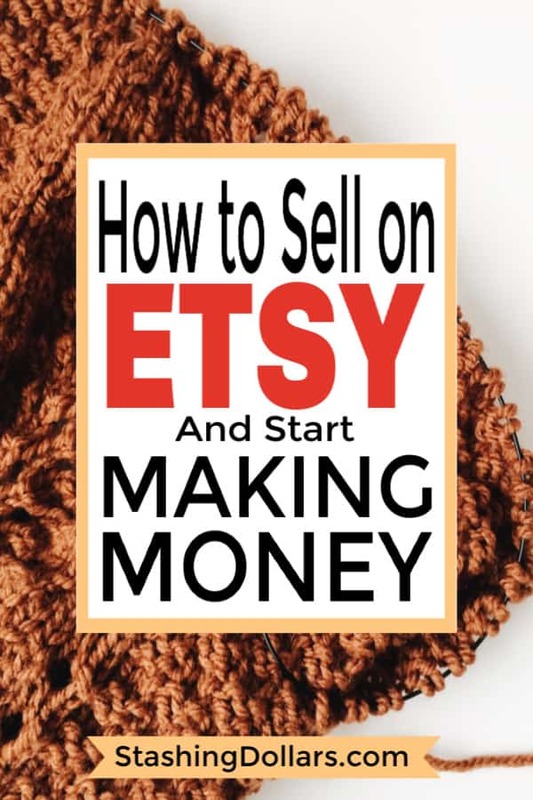 However, if you want to know how to make money on Etsy, you need to take the time to plan your shop and the types of items that you want to sell. If you want to start making money on Etsy, use the following guide to set up and promote your own Etsy shop. What is Etsy? Etsy is an online marketplace that specializes in homemade goods. Millions of items are created and sold by independent sellers. Etsy does not sell anything or maintain a warehouse. All transactions are between the seller and the buyer. Almost everything is handmade. The only exceptions are vintage items and craft supplies. Everything else must be originally crafted by the seller. No reselling is allowed. Before you start crafting original goods, you should know the basics of how to open an Etsy shop. The first step in opening a shop is creating an account. You also need to select a name for your shop and decide on the types of products that you intend to sell. Etsy provides sellers with a variety of tools to help make their shops more attractive to buyers. The variety of options can be a little intimidating for beginners. To run a successful shop, you will need to familiarize yourself with the various features and tools. When these steps are completed, you will need to start promoting your shop. Besides the options available from Etsy, you may need to use traditional online marketing techniques to help bring more visitors to your Etsy shop. What Type of Etsy Account Should You Use? Etsy offers two different types of accounts. They also plan to launch a third option. For now, you can choose between the standard account and the Etsy plus account. You can create a standard account for free and it does not include any monthly charges. However, the plus account offers additional tools to help you get noticed. You also get a few free listings and promoted listings. However, there is not a lot of value added to the plus account. With either option, you will pay $0.20 per item listing. You can get started with the free account and begin selling items. If you decide that you want access to the premium tools, you can always upgrade your account later. When creating your Etsy shop, you will need to list one item. You will also need to create a name for your shop. These are two of your most important tasks. You likely already have a product in mind. However, you should search on Etsy and look for similar items. Look at your competition to determine if your product offers something new or unique. If there are many options similar to your product, you may want to find a way to make it more original. Your shop name also needs to be original. It is separate from your account name and should reflect the products that you sell. Including a keyword related to your products may also help people find your goods. When you finish the setup process, you can edit your Etsy shop homepage. Start with the cover photo. It needs to be a minimum of 1200 x 300 pixels. Using a photo of yourself reassures buyers that you are a legitimate person offering handcrafted items. You can also add a unique shop logo to help create a more professional homepage. The logo image is square and a minimum of 500 x 500 pixels. You can use a basic photo editing program to create your own original logo. The homepage is just one page. You also have an about page and a policy page. Etsy provides a long list of requirements for outlining your shop policies. After setting up your Etsy shop and buying a few items to understand the transaction process, you should start exploring the user dashboard. The dashboard provides a lot of features and may be overwhelming to beginners. Take your time and explore the tools, settings, and analytics. You should also buy one or two small items and learn how to leave a review on Etsy. When you try to sell your first items, potential buyers can see that you have left feedback and bought items on Etsy. Standing out from the competition is a key aspect of learning how to make money on Etsy. There are thousands of other sellers offering a wide range of handmade items. You do not need to be an online marketing expert to start selling items through Etsy. However, you do need to put in a little effort to get more people to view your items. Using dimly lit or blurry images is a big mistake. If you want people to buy your goods, you should ensure that they can see every detail. Providing clear, honest images also reduces the risk of buyers leaving negative feedback. When looking at the image, they can decide immediately if it is what they are looking for. Buyers do not need to wait for it to arrive and find out that it did not meet their expectations. You do not need an expensive digital camera to take quality photos. With a few simple tips and tricks, you can snap sharp, colorful images of your items. Before taking a photo, find a suitable spot to take the photo. The room should offer plenty of natural sunlight. You should also shoot away from the window so that your subject is not backlit. Providing a white backdrop can also help your item stand out. You can place a white sheet or tablecloth over a table or position the item so that a white wall stands behind it. People should not see any other objects in the shot, such as the décor on your wall or your entertainment center in your living room. You should also take multiple photos. Take many shots from every angle and then upload the photos to your computer. Select a handful of the best photos and use them for your item listing. People buy items on Etsy because they want original, handmade goods. They do not want the typical mass-produced items available at any store or online retailer. To appeal to these interests, sellers should avoid generic descriptions. Your product details should include a personal touch. You can use first-person and refer to yourself as you explain how and why you crafted your items. Besides the quality of your products, buyers are interested in the story behind them. Making the description more human helps make a connection with potential buyers. If you need some ideas on how to write descriptions, look at your competition. Search for items similar to your offerings. Examine the top-selling Etsy shops and read the item descriptions. You should never steal phrases or copy their descriptions. However, seeing what the competition is doing is a common part of marketing research. You can use your research for inspiration. Getting people to see your items is part of the challenge of making money on Etsy. When people search for items on Etsy, they are most likely to look at the items that appear at the top of the search results. Increasing your position in these search results requires the same techniques used for increasing Google search results. You need to use search engine optimization (SEO) techniques. Start with your item headline and description. 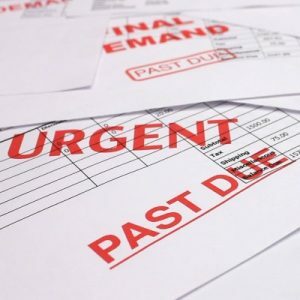 While the headline and description need to be original, they also need to include the primary keyword that you hope to target. For example, if you are selling knitted mitts for kids, you should include “knitted mitts for kids” in your headline. However, you also need to make your use of the keyword sound natural. You may need to rearrange the phrasing to ensure that it is human-readable. 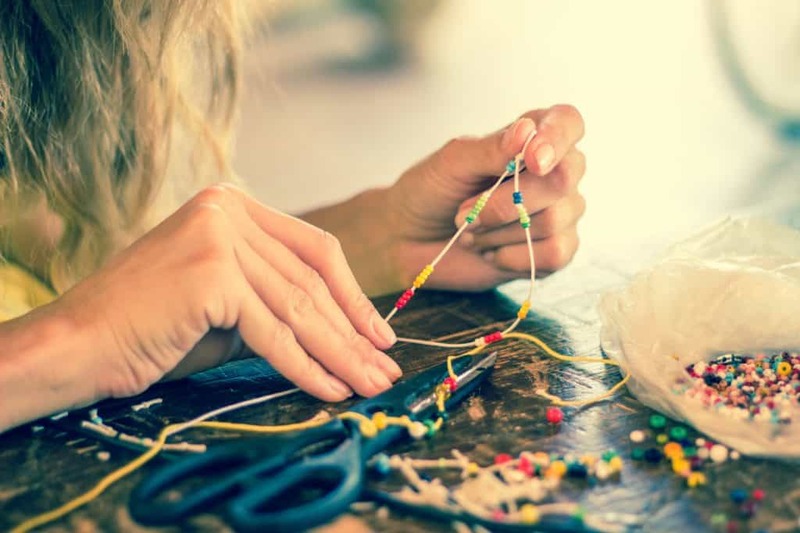 You can also use internal linking to help increase your visibility on Etsy. In your item descriptions, link to one other relevant product. It may be another variation of the listed item or an item that may appeal to the same target buyer. Online marketing can also help increase visibility on Etsy. It is an important component of learning how to make money on Etsy. There are two primary platforms to use for this marketing — websites and social media sites. You can use either one or both to drive traffic to your Etsy shop. To use social media marketing, consider creating a Facebook business page for your Etsy shop. It can still include your name but should be separate from your personal Facebook page. You can also create separate accounts for any other social media sites that you plan to use. When you list a new item, you should share a social media post. 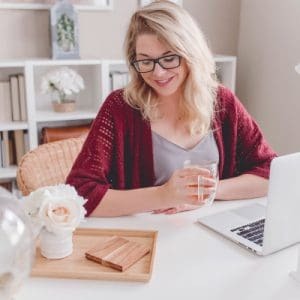 Luckily, Etsy makes it easy to craft quality posts for Facebook, Twitter, and other social media sites. They include shareable links and other tools to help with your marketing efforts. Creating a separate website can also help increase traffic to your Etsy shop. While it is not a requirement, maintaining a website is incredibly beneficial for long-term success. With a website, you can provide a central location to provide details about your products. You can also create blog articles where you discuss the processes and techniques that you use to make your items. You can also link to all your items. As the traffic on your website increases, your Etsy shop should also experience more visits. Along with online marketing, there are advertising methods that you can use to gain traffic. These steps require a small investment but offer almost instant results. You can pay to promote your listings on the Etsy search engine. You can also create a Google Shopping Campaign. These options work the same way as a standard pay-per-click ad campaign. Keywords have different bid amounts. When a user clicks on your ad, you pay the bid amount for the keyword that you selected. Both options allow you to set a daily budget for your ads. However, some Etsy sellers have questioned whether these advertising options are worth the effort. You can get similar results using Google AdWords and online marketing, which also provide you with more data for analyzing the success of your advertising or marketing efforts. Anyone can list items on Etsy. Learning how to sell on Etsy to make money requires a little extra work. You need to use various marketing and SEO techniques to get people to find your products. It is also important to make these products appealing to potential buyers. Every item should have clear, high-quality photos and original descriptions. You can also use social media marketing and other online marketing techniques to help drive more traffic to your Etsy shop. While these steps may help get more people to view your items, you also need to offer something that they want or need. It is hard to make money without a quality product. It is also important to remember that success does not come overnight. It may take weeks or months for your Etsy shop to attract more buyers. If you want to make money, continue to use these techniques to increase the visibility of your Etsy shop and continue to produce high-quality goods.